Funny story, I had initially made a choice to start bunching these articles together when I thought I was struggling to have strong opinions on old Atari games. Typically, the post started to balloon larger and larger before I realised I’d need to split them up again lest post a huge wall of text to ruin your eyeballs. 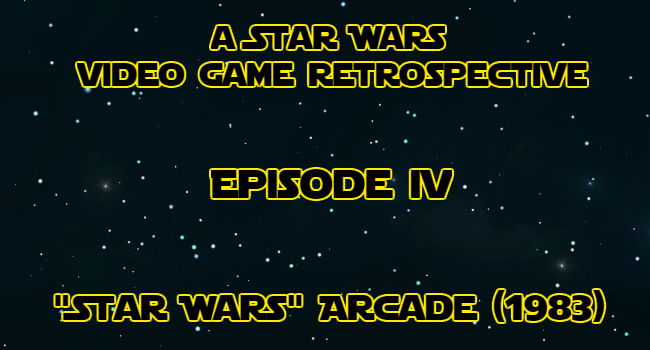 I actually had the pleasure of trying out this arcade game in person a couple of years ago at an event I was attending, little did I know at the time, my 20 minute session with the game would eventually spiral out into a lengthier talk about the 1983 Arcade cabinet, simply called Star Wars. It’s been a while since I wrote one of these. There’s been a number of reasons for that. Firstly, I got the impression that nobody cared, in fact I saw my views noticeably dip right as I posted the previous two parts. 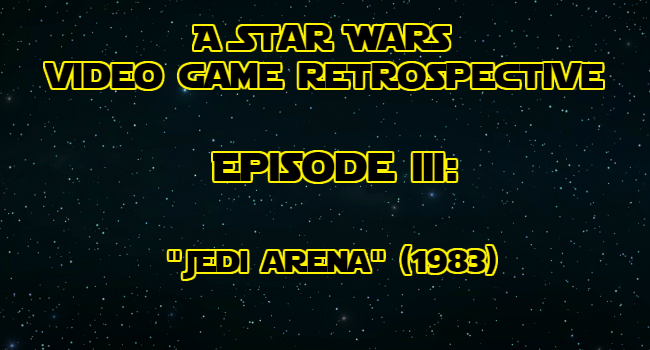 Second, these early games were far less interesting to talk about than I had originally hoped. There simply wasn’t the content there to piece anything together that amounted to anything more than “this is an old game”. 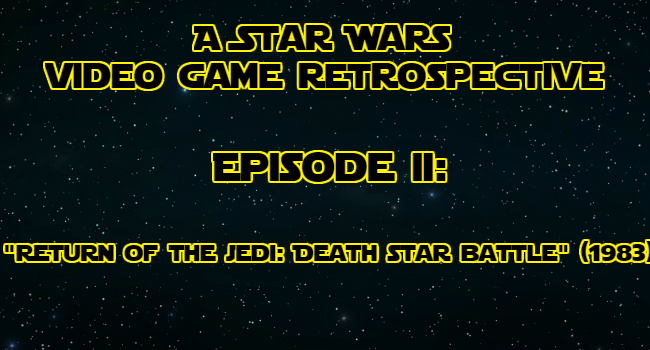 Continuing my journey through as many Star Wars Video games as I can get my hands on, we move onto the second game made and distributed by the Parker Brothers for Atari: The rather lengthily titled Return of the Jedi: Death Star Battle. In the first part of this series, I repeatedly spoke about how difficult it was for me to judge a game on a platform as old as the Atari 2600, while nothing has changed since then, the more games I can play, the better I can compare and contrast them on these older platforms.